One of the more onerous tasks that a person with diabetes has to perform is to constantly monitor his or her blood glucose levels by pricking their fingers and applying the blood drawn to a strip. Google is working on a special pair of contact lenses that has the potential to alleviate diabetics from that burden, according to an article in WebMD. 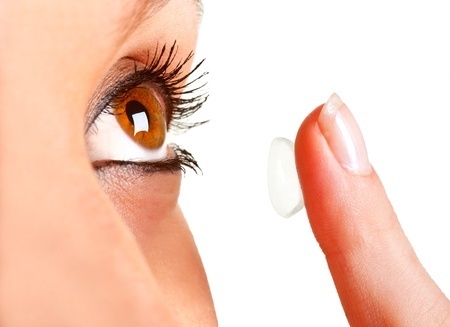 Smart contact lenses can help monitor blood glucose levels for people with diabetes. The lenses would have a tiny wireless chip and miniature blood-sugar sensor embedded between two layers of soft contact lens material. They would measure blood glucose levels in human tears once a second and flash a warning light if levels become dangerously high. This kind of real time monitoring would prove to be a boon to people with diabetes, lifting the anxiety of missing a blood sugar spike that might prove to be dangerous. Diabetes occurs when the pancreas is unable to effectively process blood glucose, leading to a buildup in the blood. This can lead to nerve and blood vessel damage, blindness, comas, and possibly death. People with diabetes, besides monitoring their blood glucose levels, must take insulin and adhere to special diets to keep the condition under control. According to the UK Guardian, the fact that blood sugar levels can be measured through human tears has been known since the 1950s. But it has taken decades until a 2011 experiment demonstrated how a wearable sensor would work. Google is currently seeking FDA approval of the blood glucose monitoring contacts as a medical device. For more information on the benefits of smart contact lenses for diabetic patients, as well as other technological innovations that can be incorporated into healthcare education and curriculum development, contact us. This entry was posted in cutting edge technology, healthcare technology, Uncategorized and tagged diabetes, diabetes technology, healthcare tech, smart contact lenses. Bookmark the permalink. layout for your blog. Is this a paid subject matter or did you modify it yourself? Thank you, I appreciate your comments. All subject matter is selected and provided by Avidity Medical Design. Feel free to make suggestions for healthcare topics that you would like to see covered in future blog posts. Thanks again for your positive feedback.